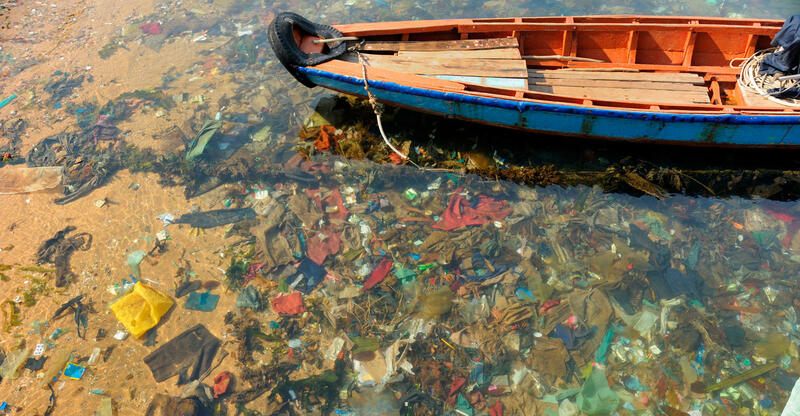 There are an estimated 5 trillion pieces of plastic floating through the world's oceans, enough to fill almost 600 jumbo jets. Cleaning up so much pollution might seem like a monumental task, but one 20-year-old is setting out to make a difference -- in a big way. Boyan Slat, the founder and CEO of The Ocean Cleanup, announced earlier this week that his organization will deploy the world's first system to passively remove plastic waste from oceans around the world. "Taking care of the world's ocean garbage problem is one of the largest environmental challenges mankind faces today. Not only will this first cleanup array contribute to cleaner waters and coasts but it simultaneously is an essential step towards our goal of cleaning up the Great Pacific Garbage Patch. This deployment will enable us to study the system's efficiency and durability over time," said Slat. The Ocean Cleanup plans to deploy the structure off of the coast of Japan during the second quarter of 2016.